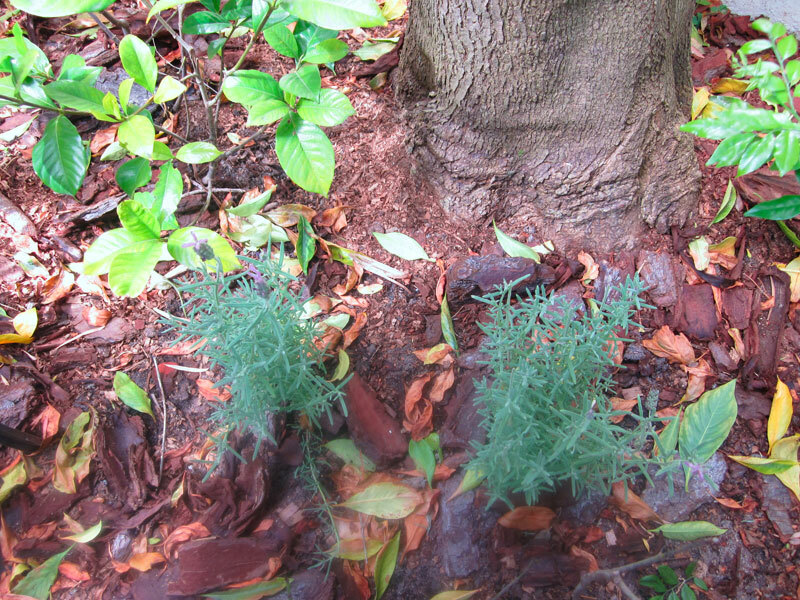 I love Lavender – and I am so envious of your Lavender bushes (hope you take some photos and publish them soon! ), but apparently the type you have is not going to grow well in my garden because of all the shade. So I have to compromise and plant Lavender that will tolerate some shade. Last week I was a Ferndale Nursery in Constantia (Again! 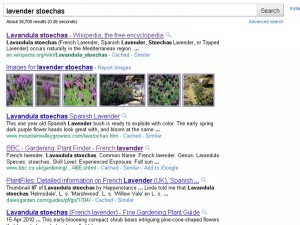 ), and I saw lavender – marked as Lavender Stoechas. According to one of my books it will tolerate part shade, so I bought two small plants for planting in the one fairly sunny bed in the front. I took a photo so we can “watch it grow”. 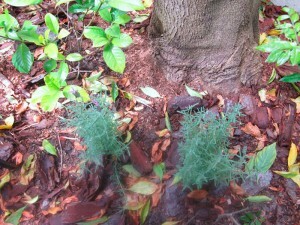 I planted them last week – so far so good. They look happy. 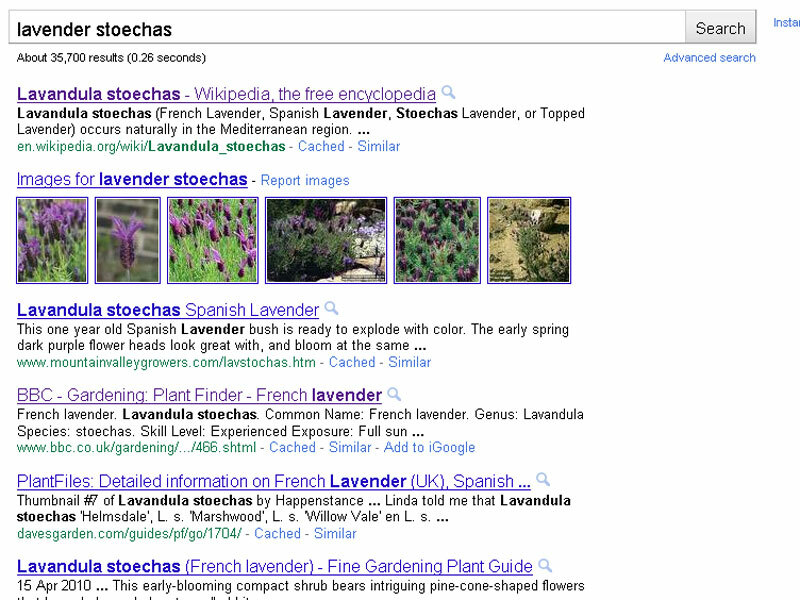 I did a search on Google now to get some more information about Lavendula Stoechas and … some sites say this is French Lavender and some say it is Spanish Lavender. Would really like to know what it really is. All very confusing.